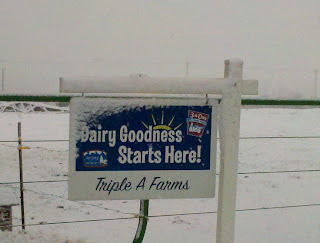 While we were feeding calves this morning, the snow was flying fast and furious. Although we're doing the same chores whether it's snowing or not--milking,feeding cows and caring for calves--, filling up on some good old hot bubbly baked macaroni and cheese seemed to be the perfect snow day comfort food. Preheat oven to 350 degrees F. In a large pot cook macaroni according to package directions;drain. Return to pot. Add milk,melted butter,pepper, and salt.Stir in cheeses. Transfer to a greased 2 quart casserole. Bake, uncovered, for 15 minutes. Carefully stir mixture. Sprinkle with crushed crackers. Bake 5 minutes more or until crackers are browned and mixture is just heated through. (don't overheat or mixture will curdle). Let stand 10 minutes before serving. 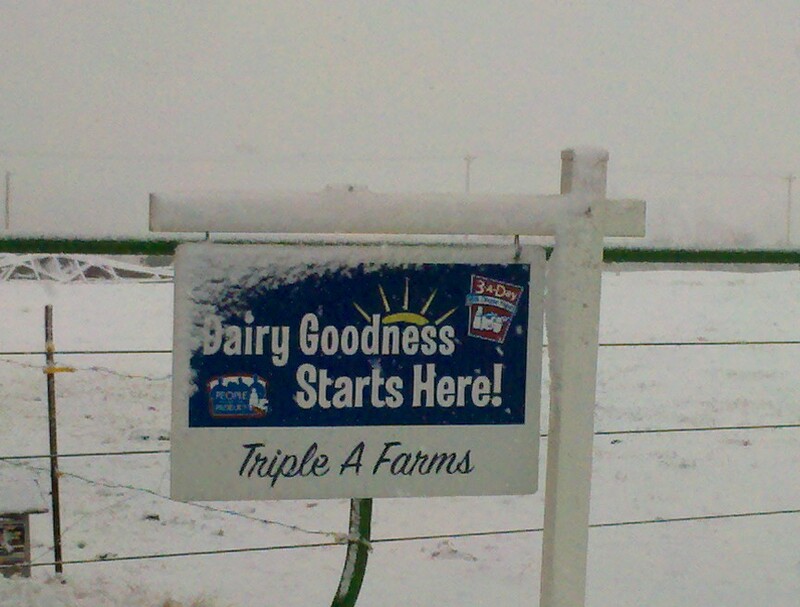 Farmers love snow day comfort food!